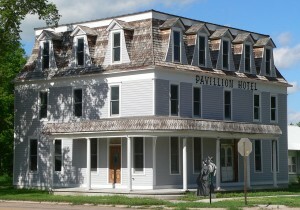 Pavillion Hotel in downtown Taylor, Nebraska; seen from the southwest. The building, designed in Second Empire style, was built in 1887. It is listed in the National Register of Historic Places. The figures at lower left are part of Taylor’s “Villagers” project: a set of life-sized cutouts of people in period clothing, located at various sites of interest in the town. Image credit Wikipedia. The beautiful village of Taylor is the Loup County seat. It is built around a city park, playground equipment, gazebo, picnic tables & public restrooms. 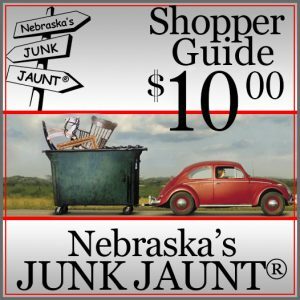 High school students & teachers have made national news with their ‘anti-tobacco’ campaigns, city improvement and community involvement projects.